T-shirts in support of the Canadian ISDE team are available at $25 each. Such a bargain, you might say — but the money helps support the Canadian team at the International Six Days Enduro. 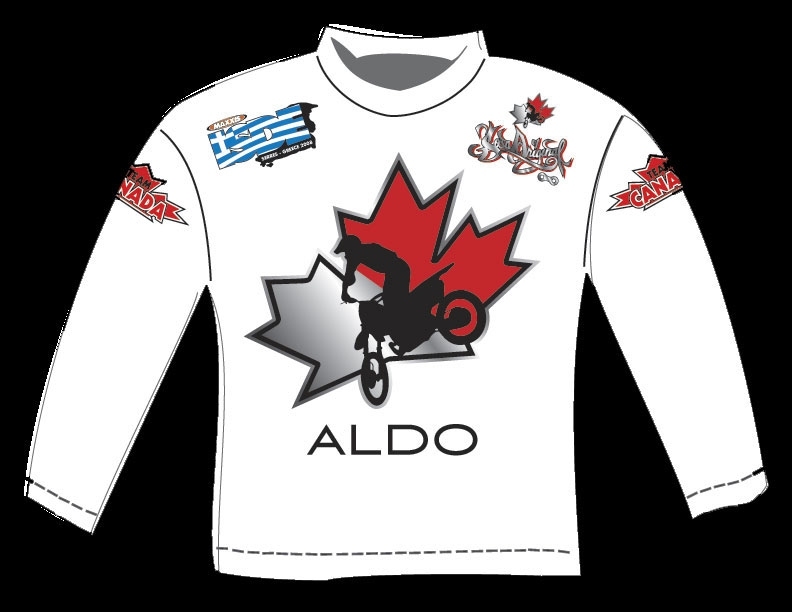 For your very own Canadian Rider ISDE Support T-shirt, contact Muriel at mkellyisde@yahoo.com . Tell her that Warren Thaxter sent you. And be advised that unlike the illustration, the T-shirts come in short-sleeve only. Sized M, L, and XL.